The Adjustment Bureau is a movie that contains elements of science fiction, action, adventure and romance. The science fiction aspect involves the premise that there are beings who control the way people's lives are shaped. These beings work for an agency known as the adjustment bureau. When people step out of the normal course their lives are predestined to take, the bureau steps in and corrects it. The element of romance between a Congressman named David and a beautiful young woman named Elise is what triggers the bureau to change the course of events within the story. While the men involved in the adjustment bureau try their best to remain hidden from the population, David stumbles onto a bizarre scene at work one day. His friend Charlie is suspended in time and being examined by strange men in black suits. The men end up capturing David and taking him to a secluded location where they inform him of who they are and their need to take Elise's phone number from him. In David's predetermined destiny, he and Elise are not supposed to end up together. Even though the bureau warns David not to look for Elise he does not listen to them. After three years, he finally ends up meeting her again and gets more information about her life. As David tries to follow his heart in pursuing a relationship with Elise the bureau continues to alter the sequence of events in order to keep it from happening. At one point David and Elise find themselves trying to outwit the men from the bureau who are chasing after them. The men from the bureau have a special way of moving back and forth through dimensions. This is accomplished by using secret or specially designated doors which the general population are not aware of. David finds out about the doors and uses them to his advantage when he tries to outwit the men from the bureau. 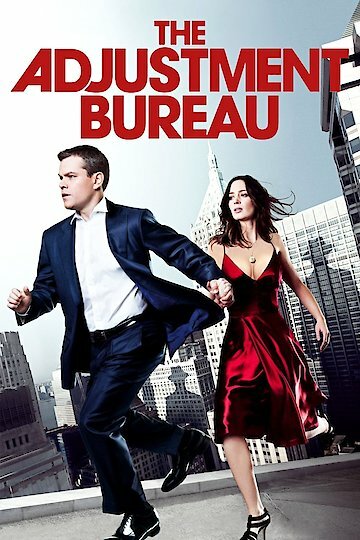 The Adjustment Bureau is currently available to watch and stream, buy, rent on demand at FlixFling VOD, Amazon, Vudu, Google Play, FandangoNow, iTunes, YouTube VOD online.